Sitting at the top of Townsend, TN inside the Golf community of Laurel Valley, this wonderful two bedroom cabin awaits you. Each bedroom as an ensuite bathroom. One with a claw footed tub and the other with a stand up shower. 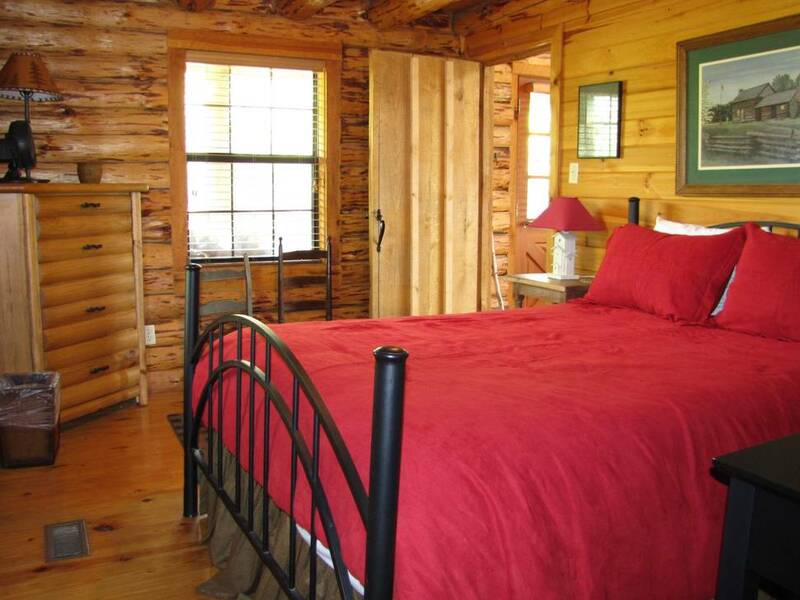 Both rooms has comfortable queen size beds. The open living space encompasses the living room, dining area and kitchen. The kitchen space is small but is fully equipped with a dishwasher, range, microwave oven and more. The living room in this cabin has a wood burning fireplace, beautiful mountain view and a flat screen TV. The entire space has a cathedral ceiling with exposed wood beams. It is a beautiful space. 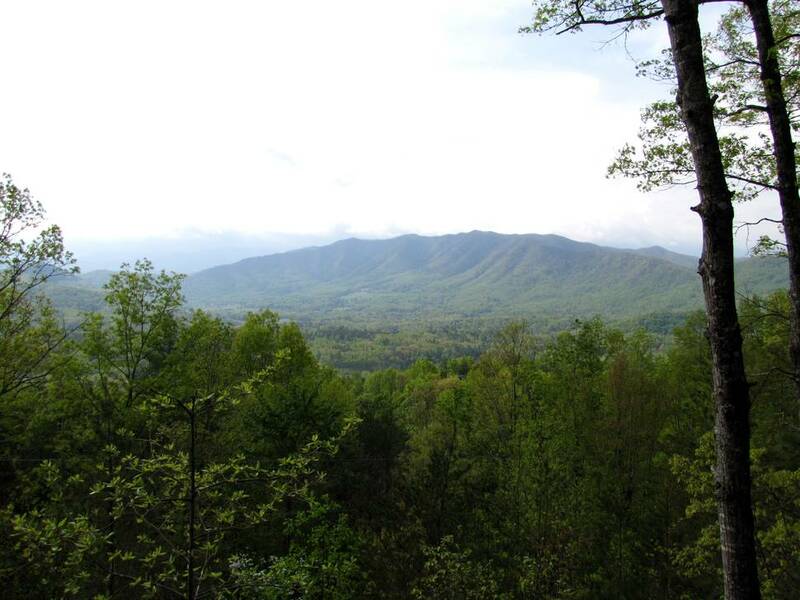 Heavenly View has a large wood deck on the side of the cabin that overlooks Laurel Valley and the Smoky Mountain Range. It is a spectacular view!! A BBQ grill, eating table and rockers are there for your enjoyment. 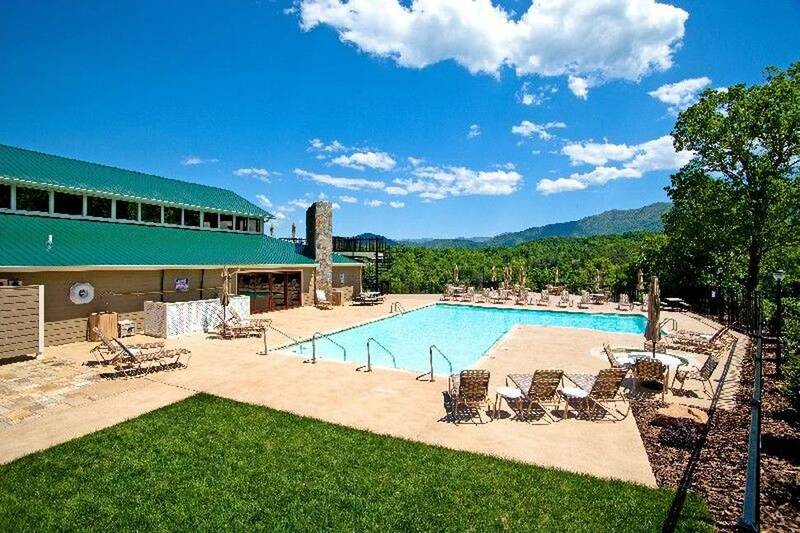 Stay at Heavenly View and enjoy the seasonal swimming pool at the Laurel Valley Community pool for free! 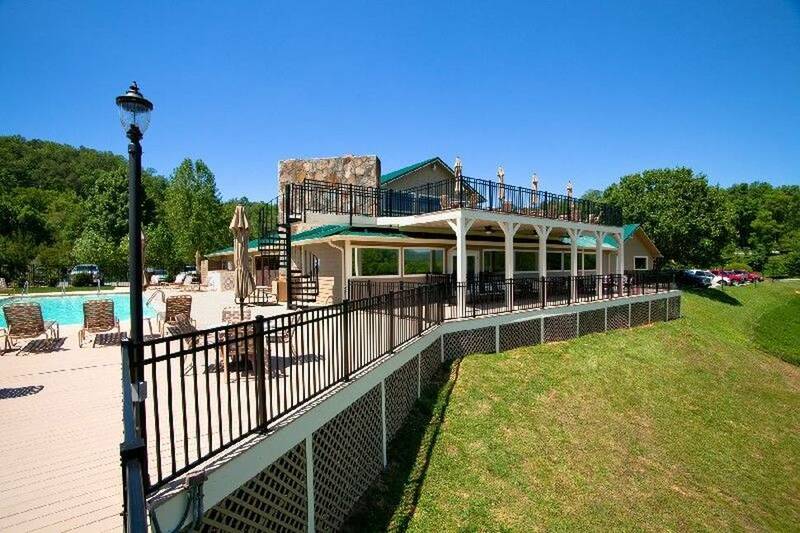 Just 1 mile to the Golf Course and swimming pool. 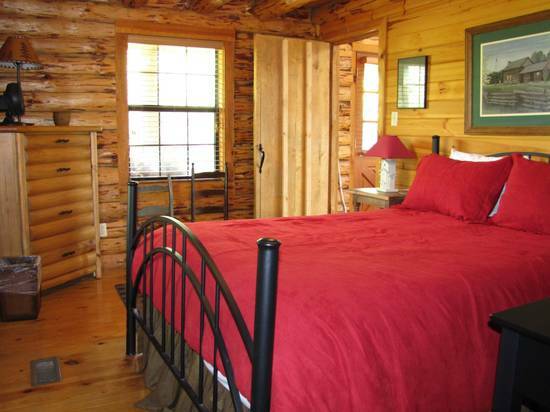 We love the products and services that Smokey Cabins offered . They are friendly and great to work with . We will always use them. What a great little cabin for our family of four! 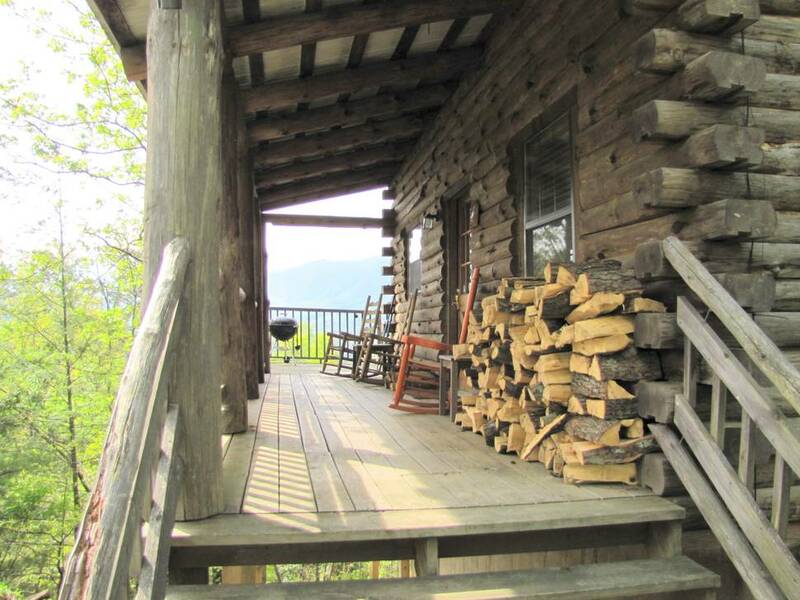 This secluded cabin with the fantastic view is out of the hustle and bustle of Pigeon Forge and right around the corner from some of the coolest sights you can see in the Smokies. Cades Cove, Tuckaleechee Caverns and horseback riding through mountainous terrain are all minutes from this hidden gem. 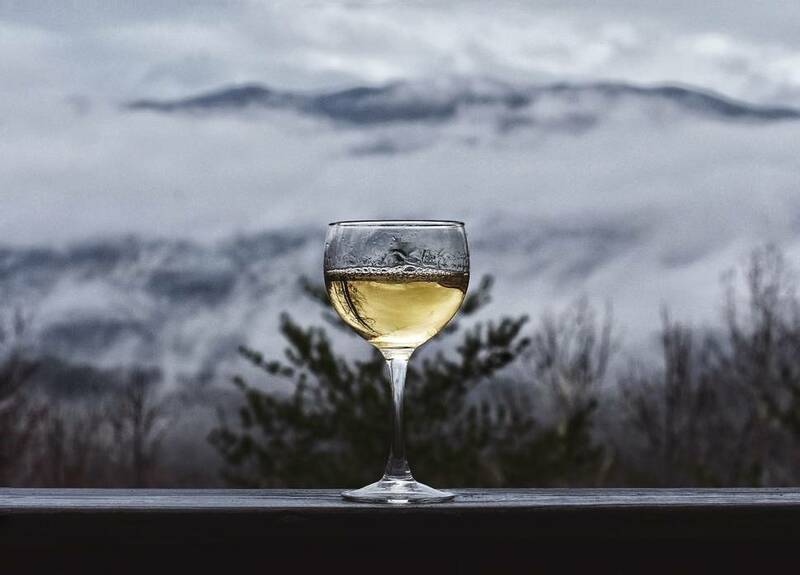 With a great little kitchen and grill, you have the option to enjoy a nice meal with that heavenly view or you can just as easily check out one of Townsend’s great restaurants. Whether you looking for some peace and relaxation or looking to explore all that this and the surrounding area has to offer, I highly recommend the Heavenly View cabin. 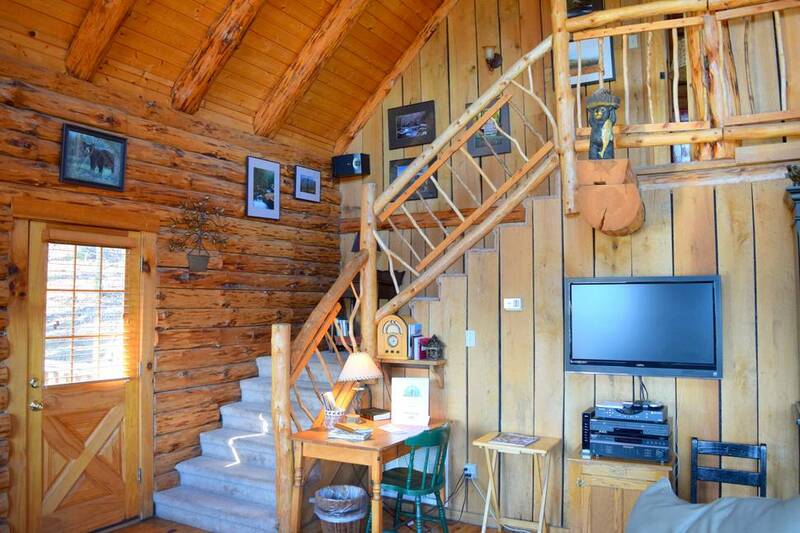 Cute cabin, good view, hot tub works (water had to be heated first.) Wifi & cable both worked great. Slight problem was not handled, but cabin itself was good. 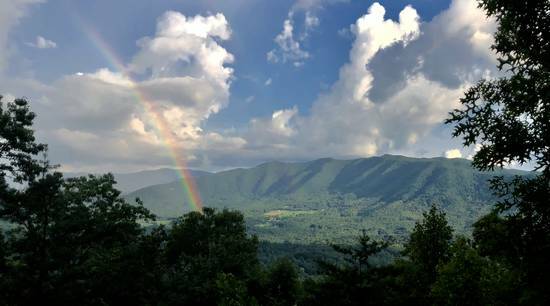 My daughter and I have stayed at many cabins between Georgia, Tennessee, and North Carolina, and this has been our favorite. Thank you! Was set up and everything ready when we arrived. Enjoyed our stay! 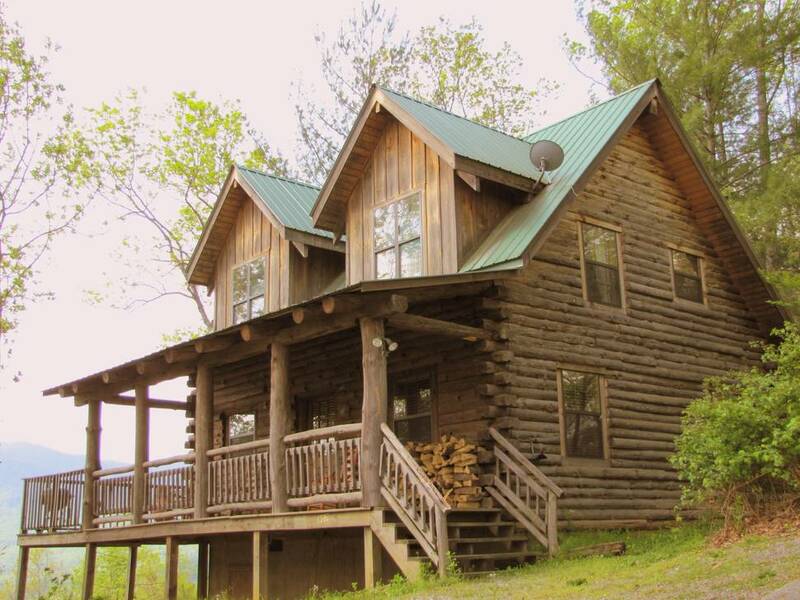 We really enjoyed our girl’s trip weekend getaway at this cabin! The booking process was smooth. Everything was prefect! Thank you! My wife is from Chattanooga and we had friends visiting from Australia. Our experience in this cabin was something that we will remember for a long time. 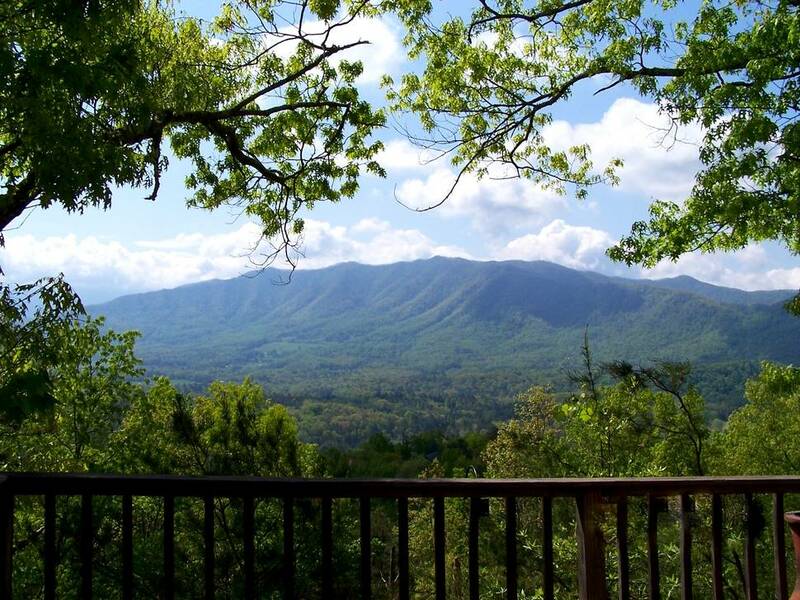 The view from the porch is simply AMAZING. 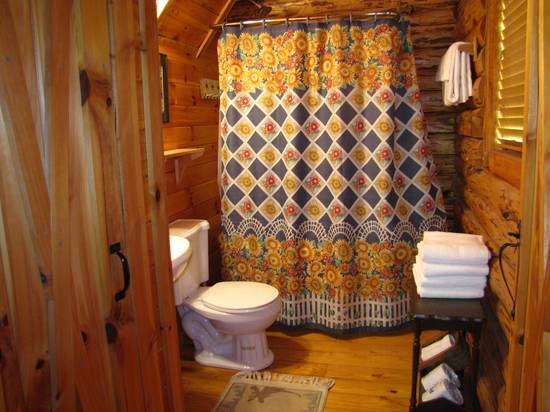 The cabin was very clean, and the second bathroom makes a huge difference. The location is also very convenient. We can't wait to come and visit again! Loved the place. Didn't want to leave. Had a wonderful time and stay at the cabin. We had “Heavenly Views” of sunrises and sunsets. The cabin was clean, comfortable, well stocked amenities. Cabin was as described. Love the claw foot tub! Great location for Townsend and the National Park! Great view. Thanks for the coffee filters, etc. 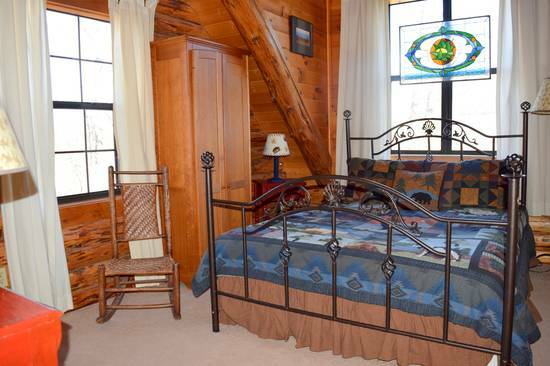 We would highly recommend the Heavenly View cabin. We were able to grill steaks, bake potatoes and make salads two nights in a row. The kitchen was great. We loved having the radio to be able to listen to music. We don't watch much TV but we love Klove Christian Radio. The view from the deck was beautiful. We only had two cars pass our cabin (that we saw) the whole time we were there. The hot tub was great on the cool nights. Management Response: Thank you so much for picking Heavenly View and trusting us with your vacation home away from home!! As advertised. Everything was clean and in good working order. Cabin was very comfortable. As nice as the inside is, it is the deck that makes this place special. Watched the fog slowly clear from the valley as we ate breakfast on the deck. Then in the evening watch the mountain disappear in the darkness as the stars come out. Management Response: Thank you for staying with us David!! 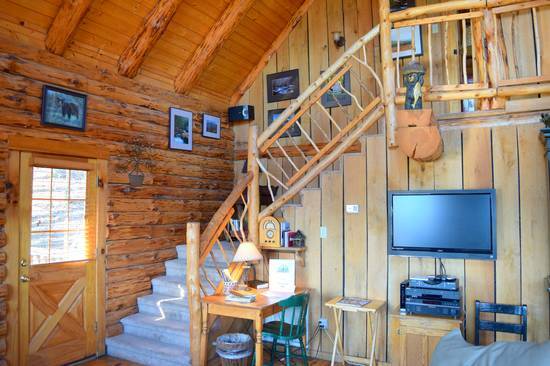 Really nice cabin. Unbelievable view from the deck. And not much better than a nice soak in the hot tub early on a frosty winter morning! We will definitely be back. Excellent view, cabin was beautiful especially on the inside. Watched the super blood wolf moon eclipse from hot tub! We loved this cabin. The view and decor were wonderful! This was our fourth time staying at this cabin and as always we had a great time. The location and amenities are unbeatable. We will definitely return next year! Management Response: Thank you for staying with us Mike!! 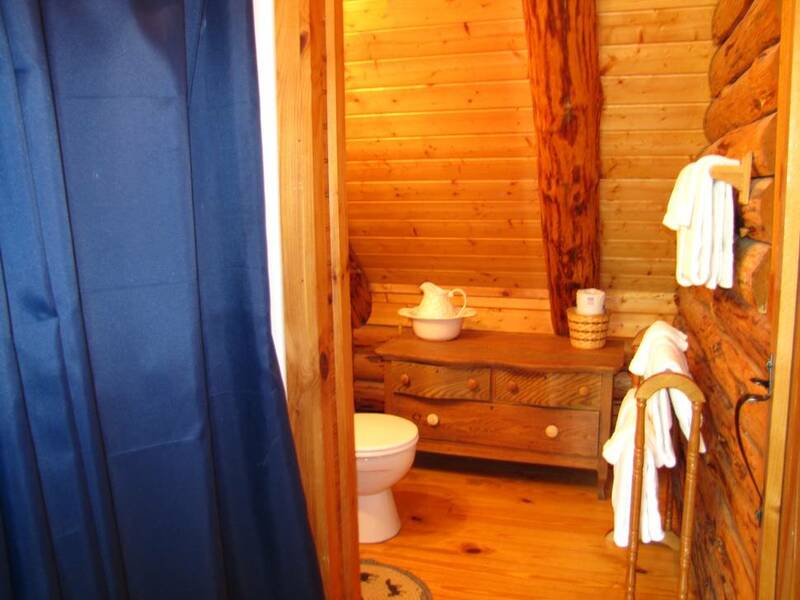 Our experience at your Cabin was very memorable and relaxing. 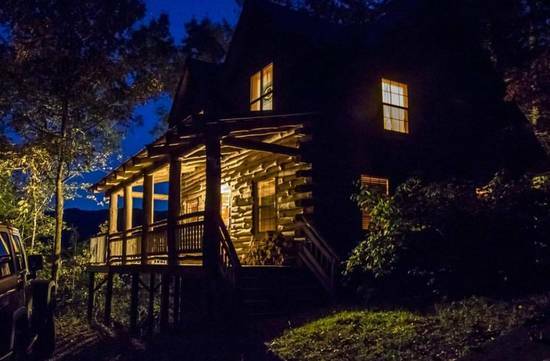 We so enjoyed our little piece of heaven at this beautiful cabin and will definitely be back! Management Response: Thank you so much for choosing Heavenly View!! The cabin's name says it all. The view from the Deck is without a doubt the best feature of this Cabin. Nice size, not too big not too small. Nicely decorated. We really enjoyed the cabin. We had 2 couples and it was the perfect size. The view was indeed Heavenly. The cabin is sparkling clean, well appointed, great AC for the summer months, AMAZING view. The beds were very comfortable. The kitchen had everything we needed to easily cook breakfast and dinner for the 2 nights we were there. The management was helpful and friendly. Definitely happy that our first drive to the cabin was in daylight, due to the steepness of the drive but the beautiful view from the back balcony made it worth the drive! The cabin needs a little bit of maintenance (master tub faucets) and a little bit of deep cleaning (upper windows over living room & dust on rafters). 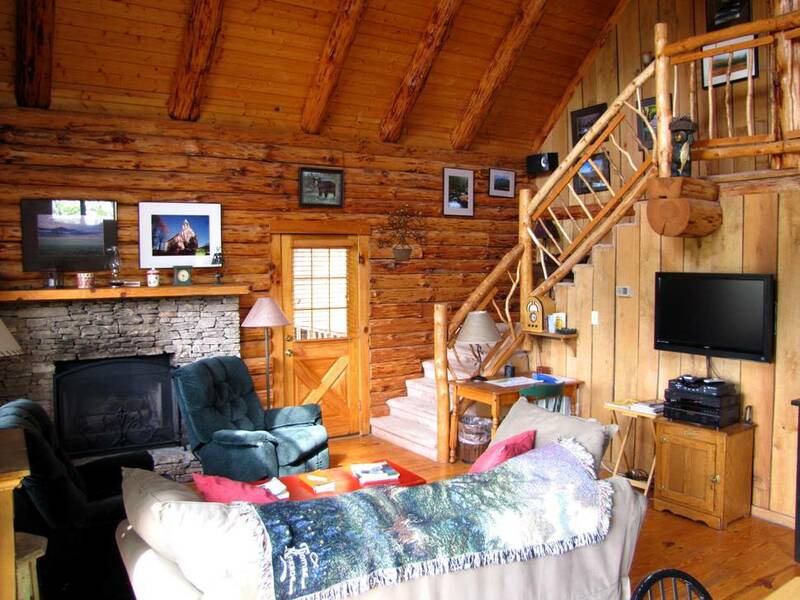 Albeit, we would choose this cabin again due to ease of entire process and Great location. Management Response: We have ordered replacements for the faucet handles and will order deep cleaning on those rafters. Glad that you guys enjoyed your stay!! The cabin has a beautiful view. Nice big rooms. Loved the fireplace! Comfortable and cozy. Great pics on the wall. Second time staying in this cabin and plan to do so again in the future. The view is magnificent!